Work it out at work. 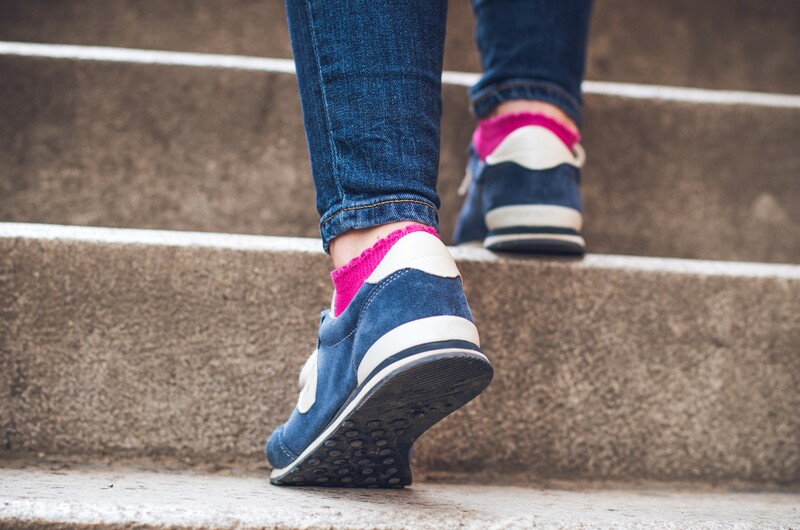 If you work in an office building with stairs and a lift, take the stairs – every time! Even in the department store – every time you see an elevator to take those stairs instead. Get the bus home? Get of a stop or two earlier and walk the rest of the way home. Got a dog? Take him / her for a walk once or twice a week more than usual… She / he’ll appreciate you much more for it and you’ll find you appreciate the fresh air and the extra exercise too. Use your lunch break to get active. Rather than sitting at your desk for the full hour, get up and go for a brisk walk for 10/15 mins. you’ll find you are much more productive in the afternoon too. Get active with the kids. Swimming / trampolining / bike riding / scooting / playing football in the park…. the list is endless. Make it fun and spend some quality time together too. Can’t bear to miss Corrie or the latest detective episode? invest in a weighted hula-hoop and hula-hoop-it while watching your favourite TV programme – two birds … one stone… done! There is no excuse… let’s get active and healthy.